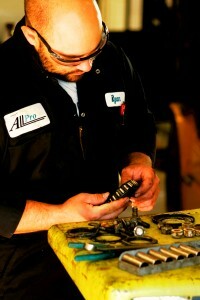 All Pro has an extensive inventory of forklift parts for all brands. Whether you need an OEM part, an aftermarket part, lp engine, electric motor, brakes, or steer axles, the All Pro parts department can get you the right part every time. Our professional courteous service is second to none. Call our parts department today; you’ll be glad you did.